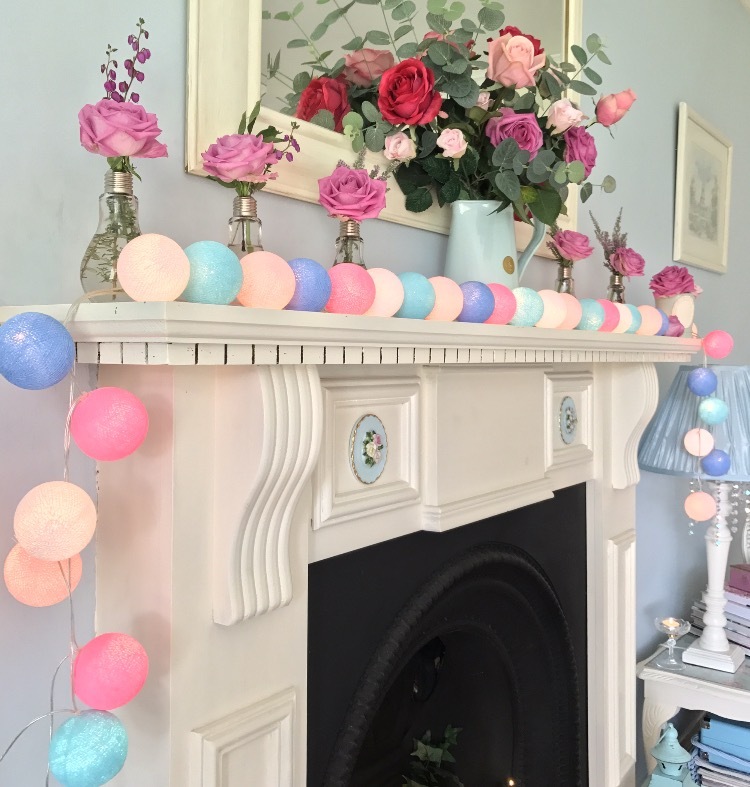 I’m a huge fan of Cable & Cotton lights and they were top of my Christmas wish list last year so I was delighted to receive a set of them in my favourite pastel pink & blue colours from my daughter. 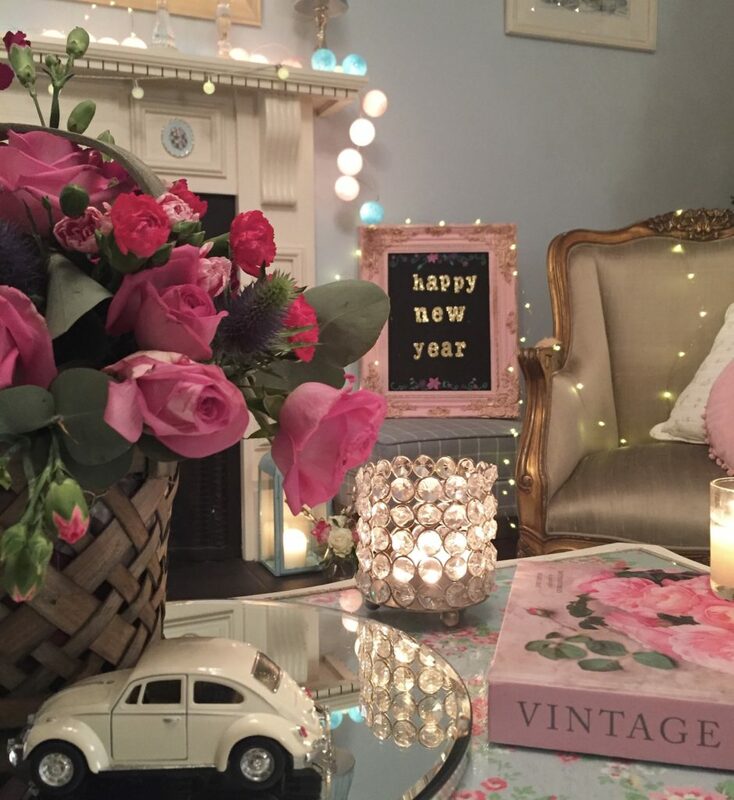 Here’s a couple of pics of them featuring in my living room last Christmas & New Year. 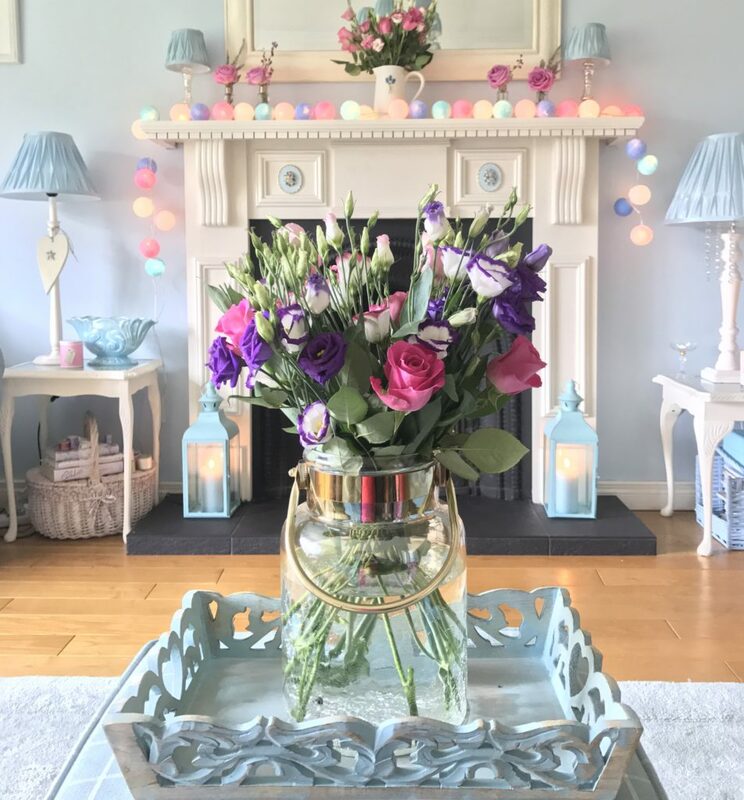 After the festive season I kept them on my mantelpiece for a few months as these lights are definitely not just for Christmas and the fact that they were hand picked in my favourite colours made them the perfect addition to my living room decor. 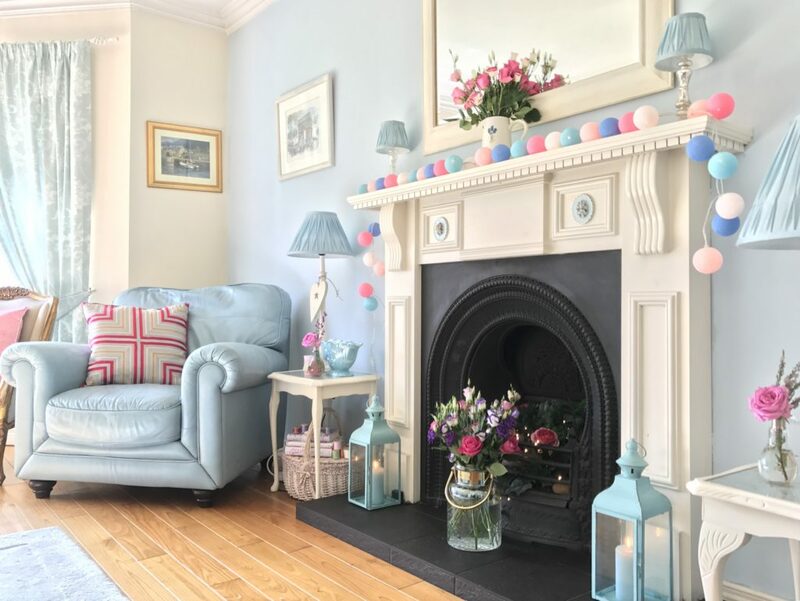 I’ve since moved them around a few different places and love them in my bedroom as well so decided it was time to order some more for my living room with some bubblegum pink and sky blue added into the mix to match my favourite cushions. 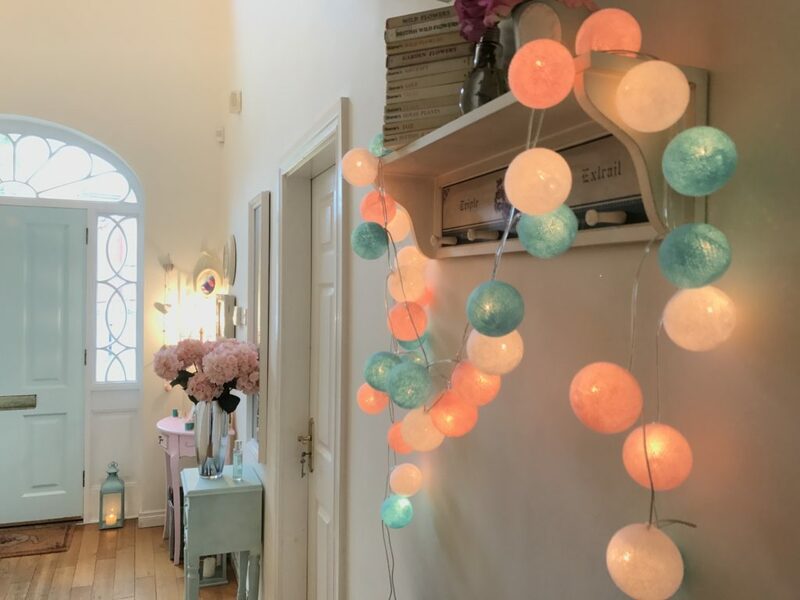 I love the fact that you can handpick your favourites from 49 different colours thus creating the perfect bespoke set of lights to enhance any area of your home. 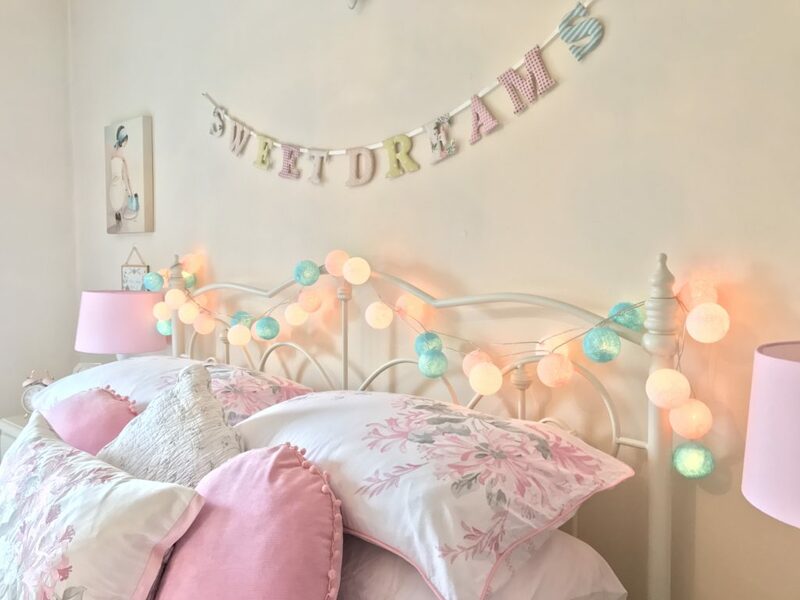 The website gives you the option of seeing the lights both switched on and off which is fab as it lets you see the colours in perfect detail. 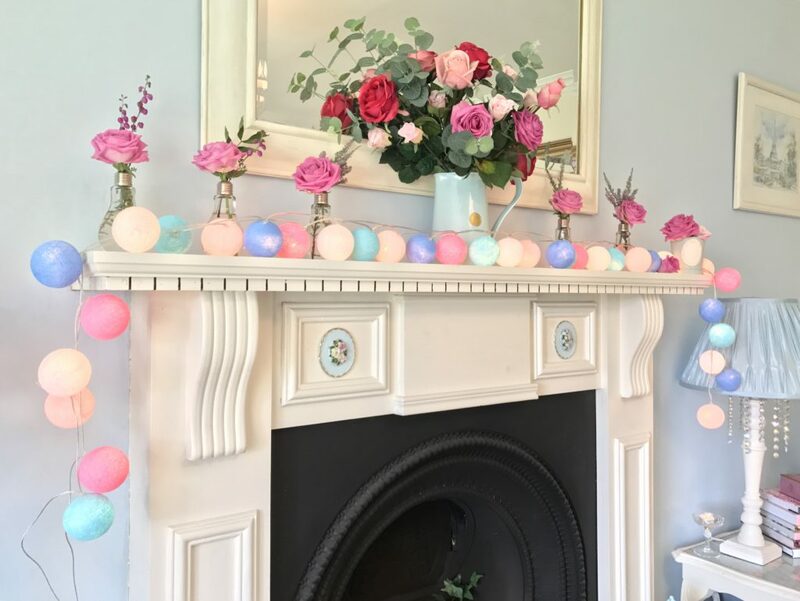 I’m completely in love with my new set which have 5 different colours in them, pure white, pale pink, bubblegum pink, pale blue & sky blue. 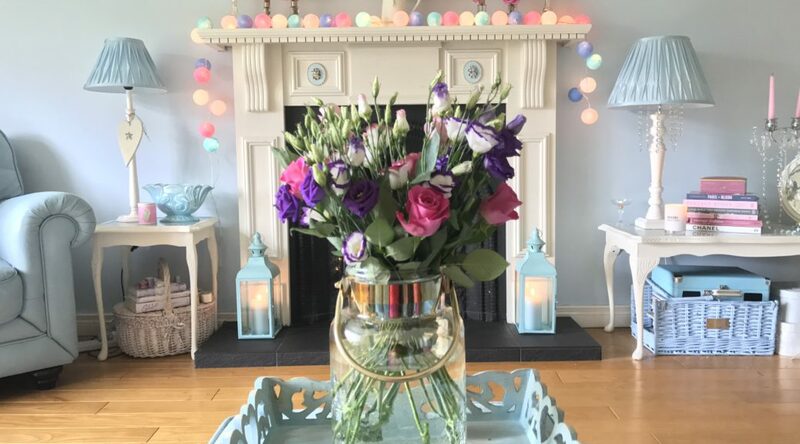 They’re the perfect combination of pastels and brighter colours and have added an extra dimension to my pale pink & blue living room. The name I’d choose for this particular colour combination would have to be Carnival Candy. 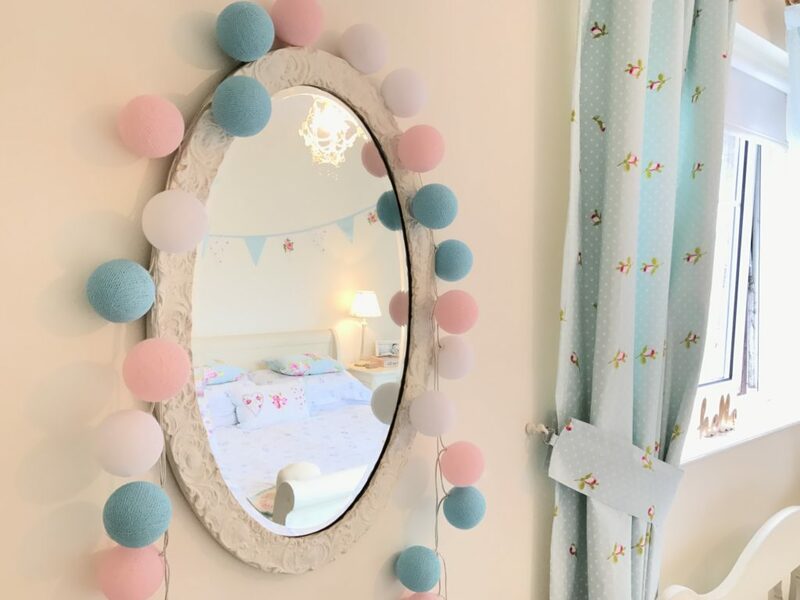 I now have my eye on a set each for my grandchildrens bedrooms and think that will definitely be part of their Christmas this year along with some toys of course! 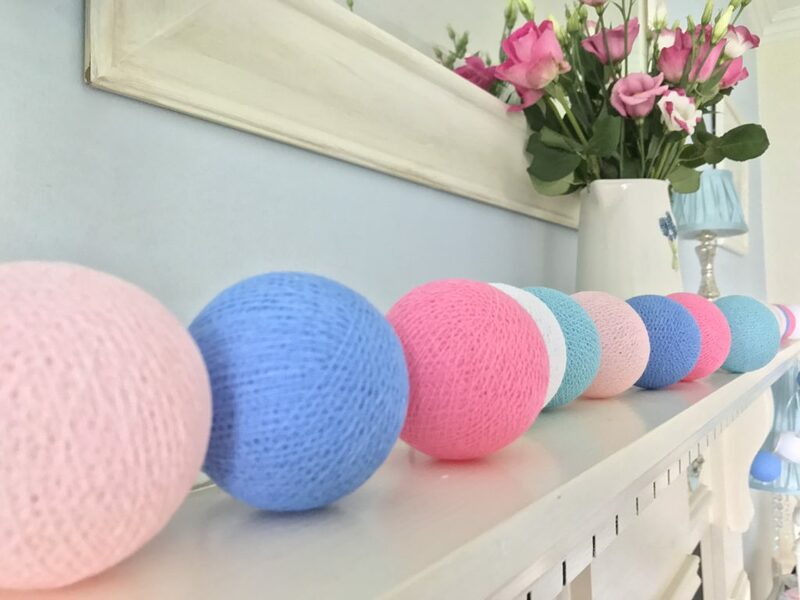 View all 49 colours here and there are also ready made colour combinations here. 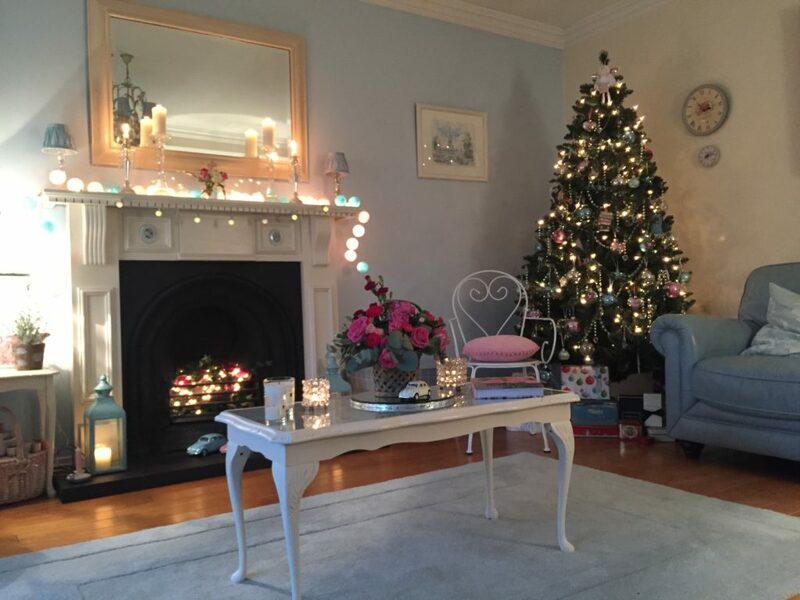 I would also love a set for my dining room in pink, green & lilac so will definitely be adding another set to this years Christmas list! Absolutely Gorgeous! 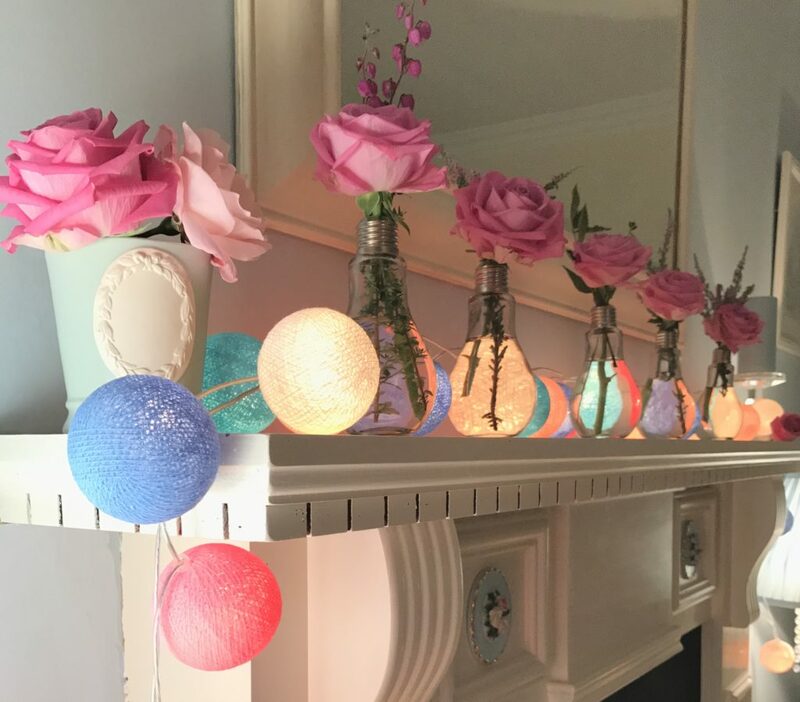 A set of these are most definitely going on my wish list too, love how you can choose them to match your colours, so beautiful in your home !